The green peridot gemstone of this beautifully and high quality cross pendant crafted in your choice of 10k, 14k, or 18k yellow gold symbolizes the permancy of the Word of God, for it is the Word which says, in Isaiah 40:8: "The grass withereth, the flower fadeth: but the word of our God shall stand for ever." Wear this beautiful peridot gemstone the color of fresh-cut grass as a reminder that nothing will outlast the Word of our God. 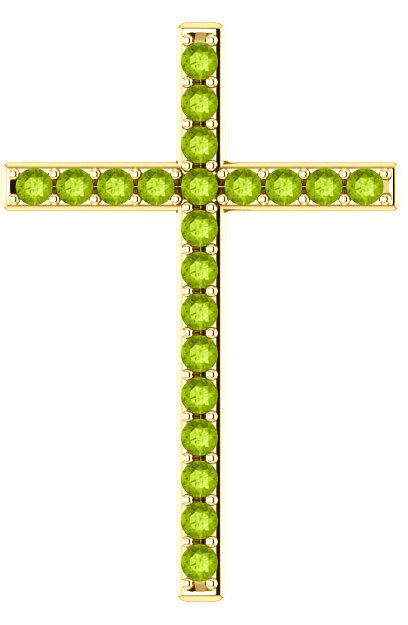 The cross is set with 21 high-quality "AA" rated authentic 2mm peridot gems. Behind the cross you will find the bale/hoop which is hidden so as not to detract from the simplicity and beauty of design of the pendant when worn. Cross measures 1 1/4" tall x 0.85" wide. Add a matching yellow gold cable-link chain in 18" or 20" (optional) or wear it with any necklace of your own. Also available in white gold or sterling silver (shown below). 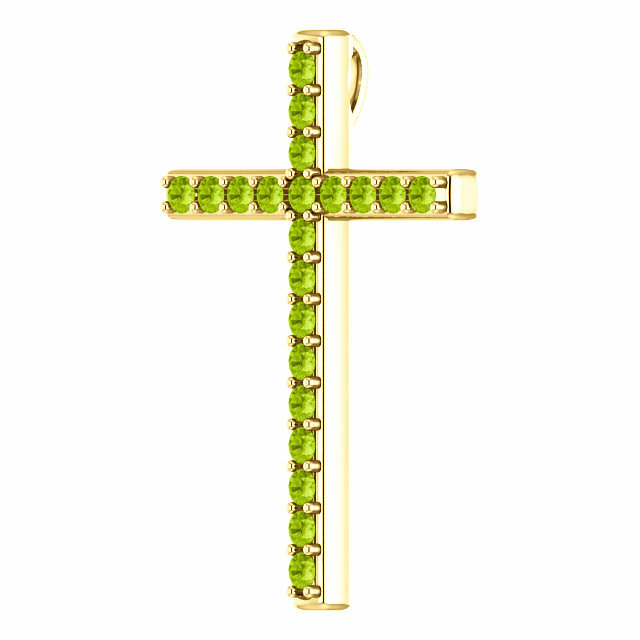 We guarantee our The Grass Witherth Green Peridot Cross Pendant in Gold to be high quality, authentic jewelry, as described above.